This comic is brought to us by Virtual Shackles. I know it seems everyone likes to talk about the similarities between the games, but at least we know for certain “one” thing isn’t accurate. This may be my favorite portrayal of Link and Zelda in the real world to date. 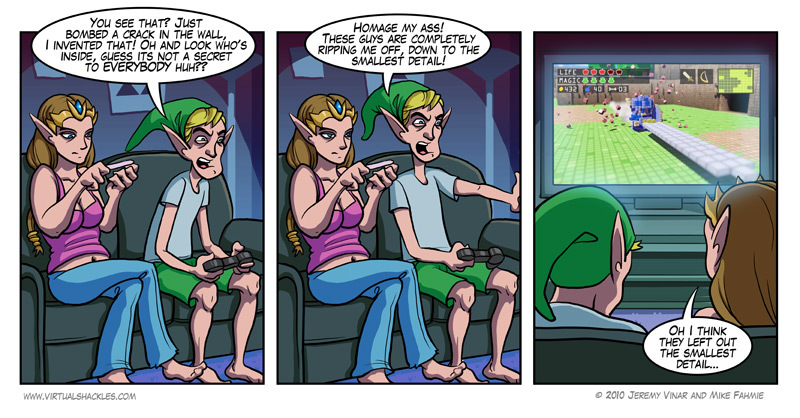 I guess I am more surprised she actually knows Link’s… size. But hey, I guess that is good for all of the Link x Zelda people, right?